The assessment of property, with the exception of state appraised utility property, for the purpose of property taxes in Kansas is the responsibility of the County Appraiser. The position is created by state statutes and is filled by appointment of the Board of County Commissioners in each county. The term of the appointment is four years. All real property is inventoried by the county mapping system and a permanent unique parcel identification number is assigned to each parcel. To assist with the inventory process, the County Appraiser's department also develops a property description for each parcel that is solely used for tax appraisal purposes. It is sometimes different from the legal description recorded in the Register of Deeds' office. When changes occur due to the sale of a portion of a parcel, parcel combinations or through new land plottings, new parcel numbers are assigned by the county's mapping system. For each parcel of land, the improvements, such as buildings, must be measured and described through on-site inspections by field appraisers. 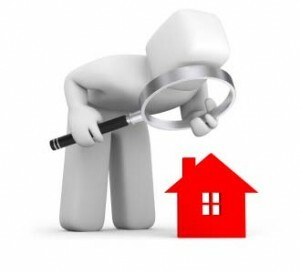 State statutes require that all properties be physically inspected and remeasured by an appraiser at least once in a six year period. This helps insure that all new construction and changes to existing improvements are discovered and added to the tax rolls. It also helps keep data current on the property should errors be found. The County Appraiser's office also uses building permits provided by the cities which have building codes within the county to track new construction. Under current Kansas statutes, all real property is revalued annually. For personal property, the State of Kansas uses a self-reporting system. In January of each year the County Appraiser's office mails out personal property renditions to individual taxpayers and businesses who have had personal property in the past. If taxpayers do not receive a rendition but they have an item of personal property such as a boat that needs to be rendered, they should contact the County Appraiser's office and a rendition will be mailed to them. The second of the appraiser's duties is to value equitably and at fair market value all property identified as of January 1 of each year. This involves first determining if the property is taxable. Unless specifically exempted by the State of Kansas or by the Court of Tax Appeals, all tangible assets, land and buildings and personal property in the state are taxable. Once the owner of the property is identified through the inventory process, the property must then be accurately valued at its fair market value. Fair market value is the amount of money a well-informed buyer and a well-informed seller would accept for property in an open and competitive market without any outside influence.